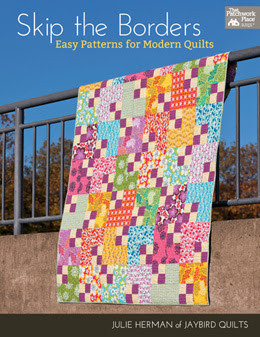 tula pink is a genius. back in july she showed the world this sneak peek. here is pic #1 one. go check out her blog to see more. and you have to go see it. 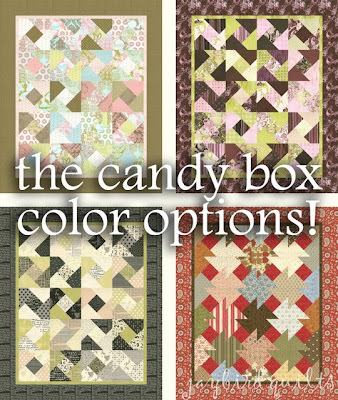 and eq helps to show people a visual in other fabrics..
and it is super easy..
so now that you see more options.. go make one! 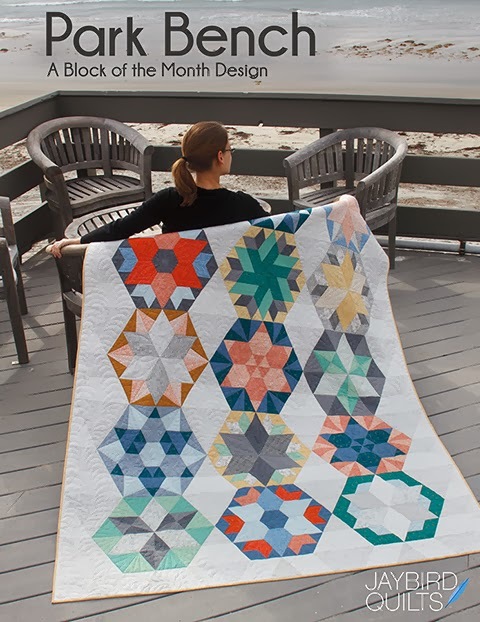 and kits over @ elkhorn quilt co.
it was a "nice job painting" gift. and a perfect one at that. i've been playing with it all night.. but now my pillow is calling! for years i was afraid of mitered corners. but i was way to afraid to try. 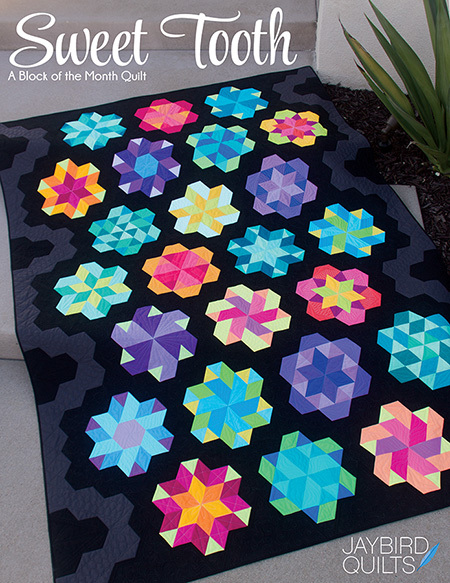 because i have lots of quilts that would look better if i had done it! and not be afraid like i was. 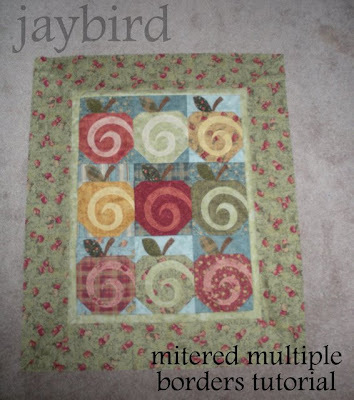 This is a quilt I made. 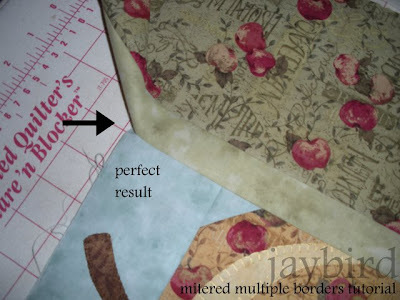 The multiple refers to the small inner border and large outer border. I'm going to show you how to do both at once! Pay special attention to pressing as it is the key to how this works! Start by figuring out your dimensions. Cut all 8 strips and sew them into 4 sets of two. 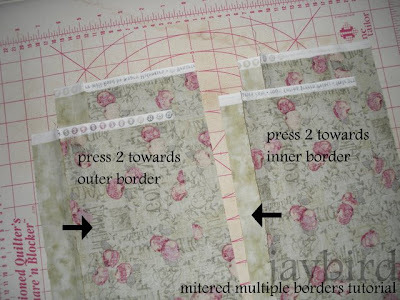 Press the top/bottom sets towards inner border and right/left sets towards outer border. Start with right and left pieces. 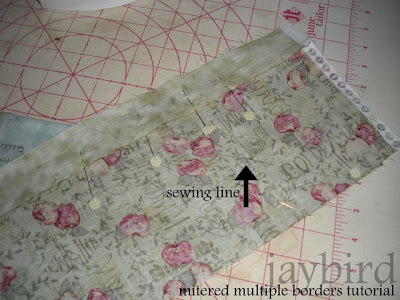 Pin the borders to the sides and mark in at 1/4" from the end on all four corners. 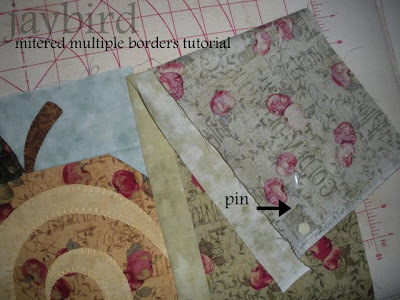 Sew side borders onto the quilt starting and stopping at marks. 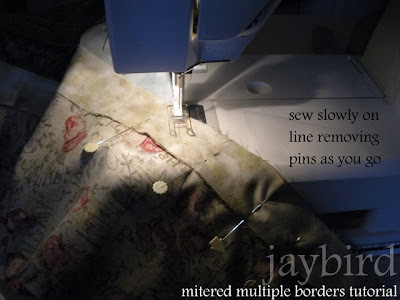 Backstitch at the beginning and end of each of these seams. 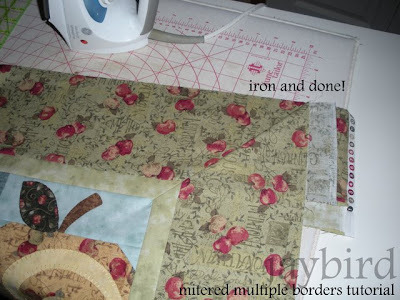 Iron both of these borders out toward the border and away from the quilt top. It should look like this. Next pin the extra fabric out of the way so it does not get caught when you sew the top and bottom pieces onto the quilt. Repeat the process with top and bottom pieces and you should have this result. 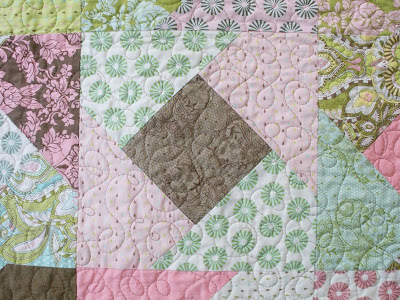 Press the top and bottom borders in towards the quilt. Now here is the beauty of this process! 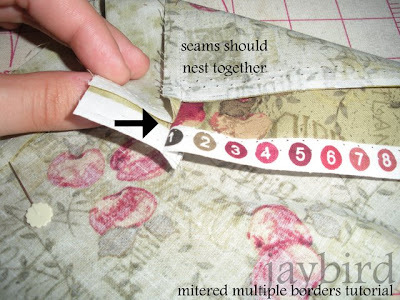 Because you pressed the seams in opposite directions they will nest together. 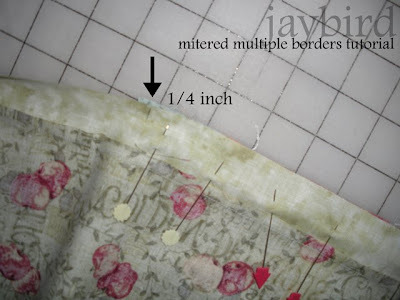 Two seams will nest together, the border to quilt seam and the border to border seam. Work on one corner at a time. 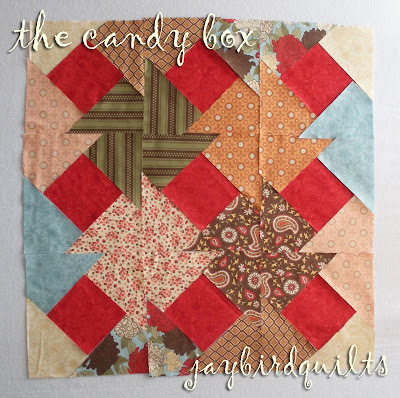 Fold your quilt onto itself at the corner. 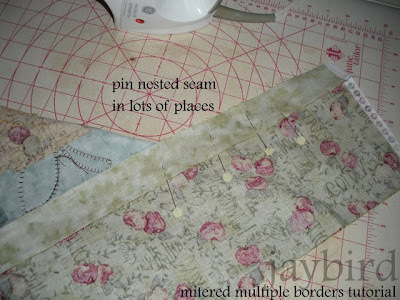 Nest the seams together as in previous picture and put in lots of pins. 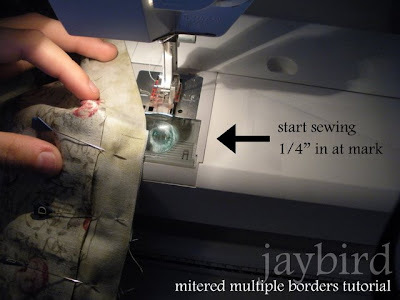 Use a ruler to mark your stitching line. 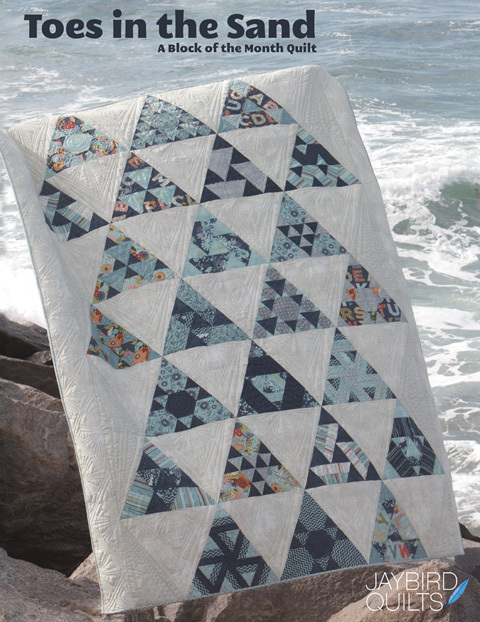 The top should line up with the fold and the 45 degree angle with the line of stitching from attaching the border to the quilt. If you can't get these both to line up take out your pins and adjust where your fold is until you can. 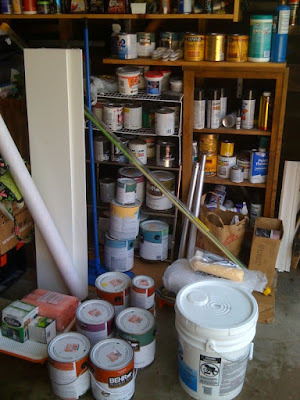 Draw a line once it is lined up right. This is what the result should look like. 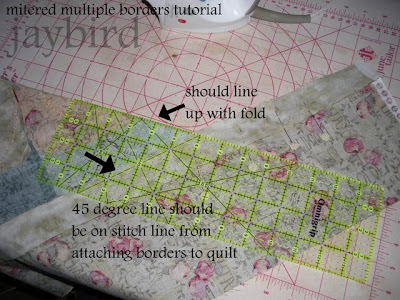 Start sewing exactly where the stitching ends from attaching the borders to the quilt and sew slowly down the line to the outside corner of the quilt. Open and check your seam. If it looks like this you are good to go. 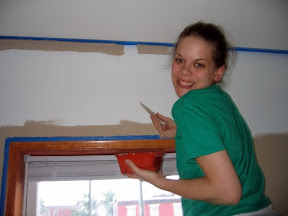 Iron, trim excess border and you are done! If your seam doesn't look right take the stitches out and try again. 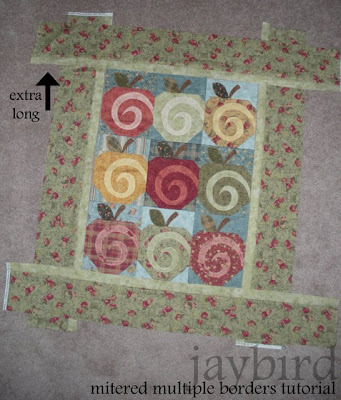 This is why I suggest not cutting the excess border strips until after this step. As a result you'll have your fabric still there just in case. 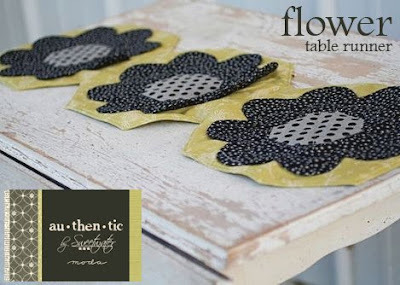 Things get a bit more complicated when you are trying to line up an element such as a large flower but the overall techniques are the same! 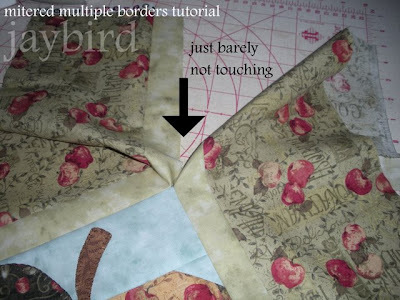 This can also work if you are doing 3+ borders as well as for mitered corners in blocks. amy @ park city girl does it a different way that is worth reading as well. and show me pics if you try! 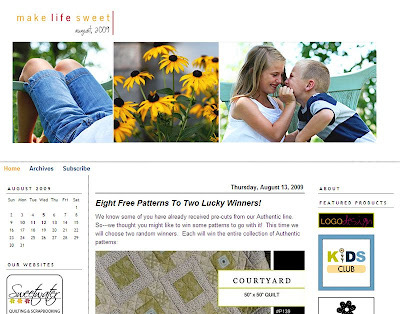 i talked with the ladies of sweetwater and turned their new free pattern into an mbs tutorial..
and guess what... those same lovely ladies are having a contest! One random winner will receive one of our authentic Jelly Rolls. We can't wait to see what you come up with! Remember, you have until August 31 to enter. 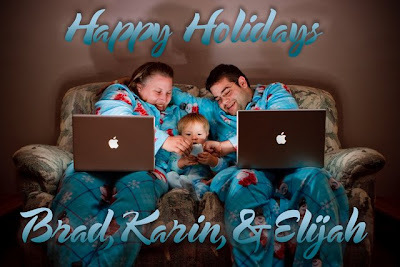 so go visit their blog and enter! and once you make one upload it to the moda bake shop flickr group so i can see it! 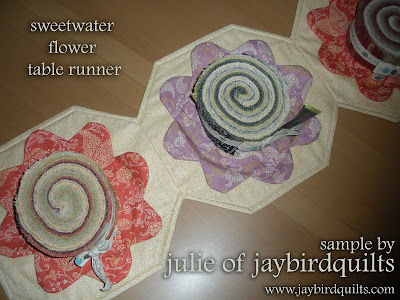 I think this runner works as a perfect display for jelly rolls! 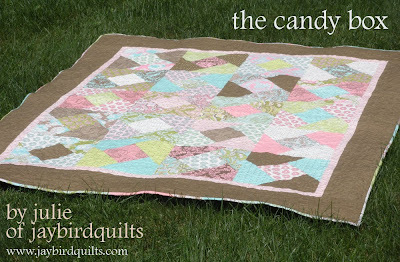 and Authentic by Sweetwater of course..
have you ever been to candy land? i was so overwhelmed on my first trip. there are cotton/poly mixes for $2 a yard .. flannels.. knits... there is a lot for under $2 too! digging is a part of the fun.. you can't tell what things are from the ends so there is lots of pulling and digging!! the flat folds are the back half.. this is the front. so where is this place? in LA... we learned about "M&L" in a local joanns... from a local quilter.. i asked where was a good place to get fabric and she sent me here.. with a warning ..
it is not a quilt shop. they will not cut fat quarters. there are limited notions and barely any patterns. 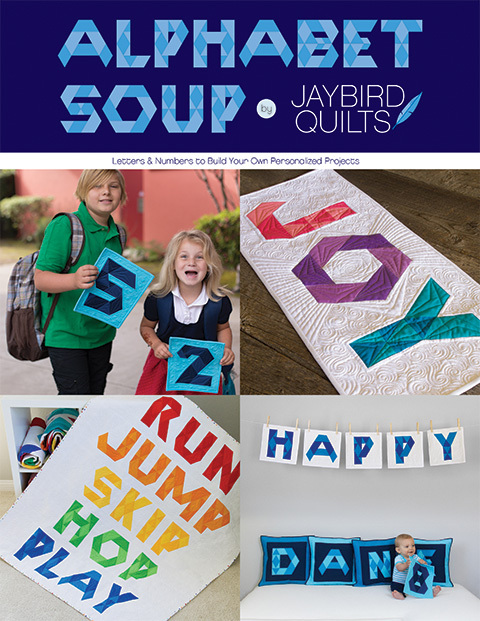 they don't know about quilting and can't help you. she said to lower your expectations on everything but the fabric. 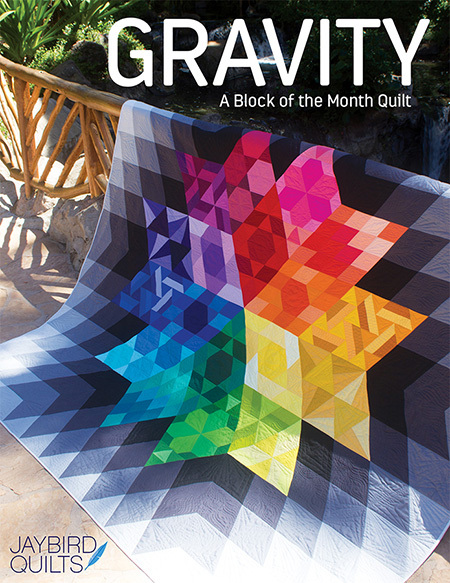 she was right.. it is not a quilt shop.. but its fabric heaven! as for the staff... they were not so bad on my last visit... but back in 2007... well.. ya know. if you are in the LA area. 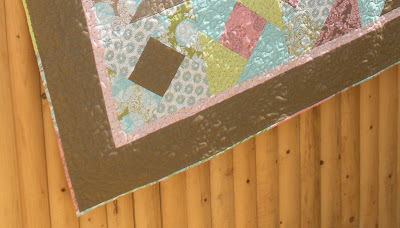 between work..the blog.. mbs tutorials.. wips..
on top of it i am working on 3 samples for the shop..
they have to be done.. quilted.. and at the shop by sept 5th!! picnic made with a custom charm pack containing five fig tree lines..
there are cutting directions for every type of fabric.. and by block or by fabric.. its just pages and pages of information... once you sort out what you need it isn't that bad..
i've got 8 large blocks done and 10 to go..
and all 10 small blocks done..
so i have a lot to do!! and a little bit of that... something will be baking soon over at the moda bake shop!